June 2016 Diabetes is a major risk factor for heart disease in both men and women. However, it has a greater impact on women’s heart health than men’s. 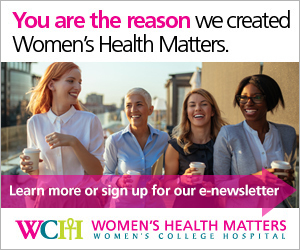 June 2016 In Canada, diabetes now affects over 1 million women. The fastest-growing group of diabetes patients is women under age 49, and this increasing burden of diabetes in younger women has broader implications for women’s health. Jan 7, 2015 PCOS is the most common hormonal condition in women of reproductive age. However, it's more than a reproductive condition. It’s a metabolic condition that is linked to health issues such as insulin resistance, diabetes and sleep apnea. April 1, 2014 If you’ve been diagnosed with prediabetes, now is the time to take action. By managing your health, it’s possible to delay or even prevent the progression to diabetes. Nov. 14, 2013 It has been well established that having diabetes increases the risk of dying, compared to not having the condition. However, new research suggests that things have improved significantly for people with diabetes in recent years. Data on Ontario diabetes patients show that their excess mortality risk has almost been cut in half since 1996. Dec. 13, 2012 New research from Women’s College Research Institute and the Institute for Clinical Evaluative Sciences indicates that post-menopausal breast cancer survivors have an increased risk of developing diabetes compared to women who haven’t had breast cancer. Oct. 11, 2012 Young adults between the ages of 18-30 with Type 1 diabetes require continuous assistance and support from family, friends and their health care providers. July 12, 2012 More young women are being diagnosed with Type 2 diabetes, which may affect their child-bearing years. April 12, 2012 Antioxidants have built a reputation as “superfoods.” We look behind the hype to clarify what antioxidants are, what they do, and how they can enhance health - whether you are managing your diabetes or just trying to eat well. June 30, 2011 For women with diabetes, pre-pregnancy planning can help ensure the best outcome for mother and baby.